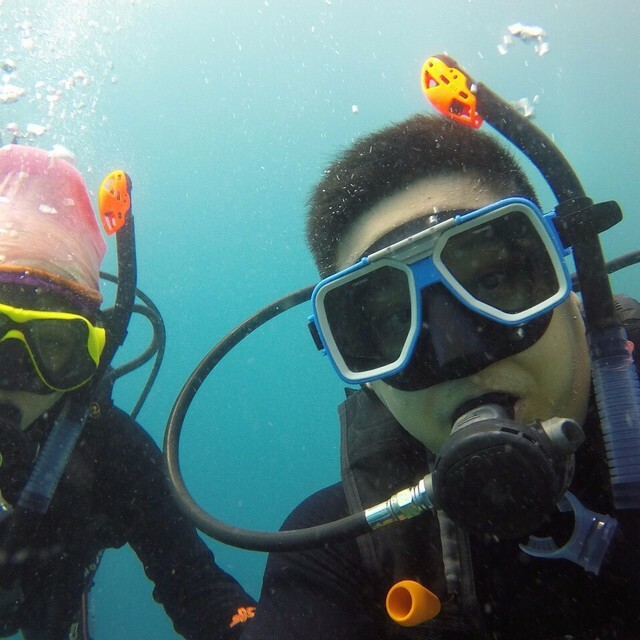 @Zoelene Aw We have been dive buddies since we took our OWD and then AOW course together. We were only recently certified with less than 15 dives when we encountered our first dive emergency. I did not realise that I went too deep for too long to take a picture. My dive comp kicked into deco mode, and indicated I had to do a deco stop for 17mins at 3m. I immediately checked my air and saw that I only had 50bars left! Immediately informed my buddy and she calmly signaled that we ascend to do the deco stop. 10mins into the deco stop, my air ran out and I used her alternate air source. My buddy was a steel throughout and could even point out some interesting marine life around us, just so to make sure I was calm and also to pass the time! I immediately knew that she is my dive buddy for life. We can look out for each other, and no obstacle will be too tough for this team to handle! Thank you Zoelene!